We specialize in affordable website design. We offer several packages that are sure to fit any budget. 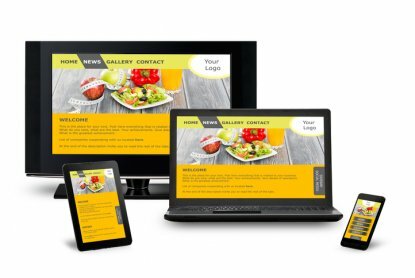 Our graphic design team takes the hassle out of website design. If you've thought about getting a website, but just aren't sure where to start, or don't think you have time to gather the information. We can help! Even if all you have is a logo, we can take it from there. We will supply stock photos and write all the content at no additional charge. However, if you have specific ideas on what you want on your website, we would love to turn those ideas into a reality. If you want changes, we are just a phone call away or you can even stop by our office and visit with us face to face. You will get final approval on your site and we will work hard to make sure you love your site before we go live!